Odette DeLaporte locked me in a room last week, and it took me an hour to find a way out. Alas, it wasn’t a record. Some enterprisingly upstart group recently managed to escape Mme. DeLaporte’s study in a mere 55 minutes. It took my team of five the full 60 to do the same. 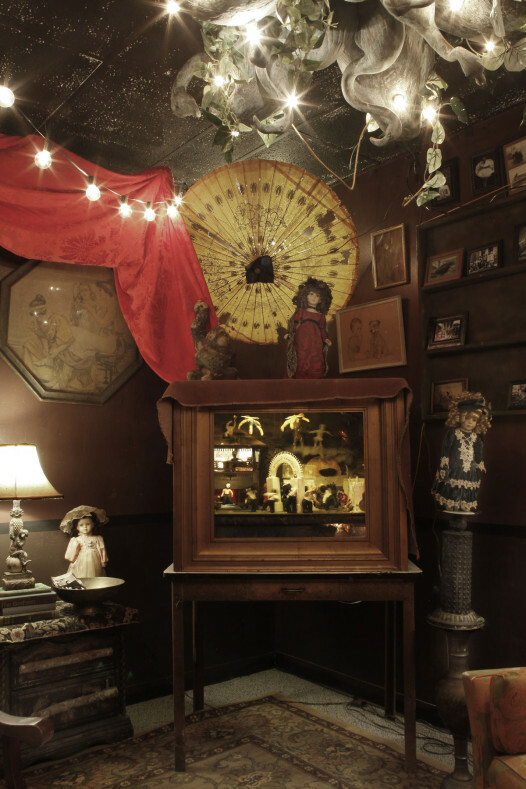 New Orleans’ Escape My Room, which opened June 17, is the latest offering in an entertainment trend that is sweeping the globe. 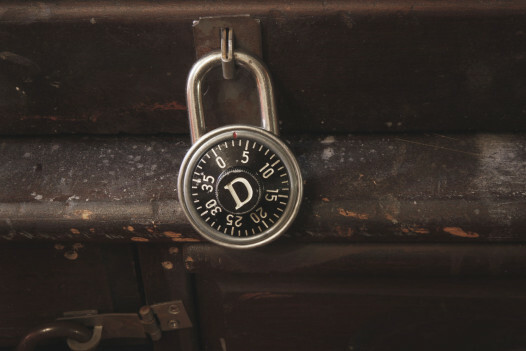 In this case, it’s a matter of virtual going real, rather than the other way around: Video games requiring players to solve puzzles to escape a digital space have morphed into real-world “escape rooms” that require a team of players to break complex codes to get out. He and Calabro spent 6 months creating Mrs. Delaporte’s lair in a corner space on the fourth floor of 701 Loyola Avenue, where other offices along the hallway are eerily empty and the CIA occupies the 14th floor (don’t wander). While the two have visited other escape rooms in Houston and elsewhere, they crafted Escape My Room with New Orleans front and center. Their room adventure offers local lore and a Big Easy narrative in addition to the convoluted brainteasers that must be solved to escape. 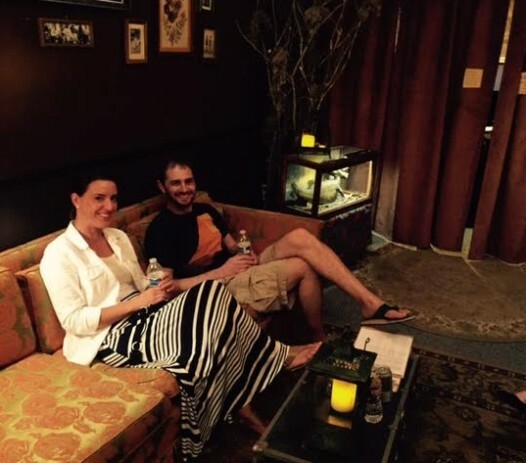 The two entrepreneurs say they enjoy the “stunned looks” on the faces of players when they arrive at the Escape My Room waiting area. Decked out as a shabby but genteel 1990s-era living room, complete with dim lighting, damask couches and dusty drapery, it exudes an ambiance of the most mysterious and unsettling kind. Preble’s father, a local artist, contributed such one-of-a-kind décor items as the copper swan chandelier, boxed diorama of moving skeletons and fantastical creatures such as a stuffed rooster with the head of an alligator. More than one piece of furniture came off the street. Without giving away the game, let me say that escape room adventures require nimble minds and collaborative thinking. Players are given a broad outline of the plot – in this case they’re seeking some kind of hidden treasure that Mme. DeLaporte misplaced several decades ago – before being ushered into — and then locked into — her Mardi Gras study. It is a space crammed with oddities, from old Carnival bulletins and cluttered bookcases to … well, that would be cheating. Up to seven people can play at a time. You’re given an hour to find a way out, and aren’t allowed to take anything with you into the game except a clipboard with paper and pencil (you’ll need it). There’s a panic button by the door, but if you use it, you don’t get back in. There are no rules, per se (although redecorating is not required to win), and part of the challenge of the game is to figure out, once you’re inside, exactly where to start. Helpful hints: Think out loud, divide into smaller groups to explore, pay attention to whatever lies adjacent to an interesting object, and heed the clock (stress!). You’ll need all five senses (yep, even smell) and may have to get down on your hands and knees to search for clues. Oh, and expect every puzzle to have another – or two or three or five – conundrums layered within it. If solutions are slow, or misdirection a recurring theme, then Mrs. DeLaporte weighs in via tinny speaker with obscure clues (yes, Preble and Calabro are monitoring the action). Be aware that there is no bathroom break, and alcohol does inhibit those little gray cells, so don’t drink and solve. Escape My Room is the second escape-room venture in New Orleans. Clue Carre offers two rooms to solve: a Mardi Gras Den where players must find hidden masks in order to get out and allow the parade to roll on time, and the Voodoo Room, tasking players with finding Marie Laveau’s hidden love potion in order to make their escape. Both companies charge $28 per person to play, and appointments can be booked online. Escape My Room plans to add more spaces, and eventually rotate old themes for new ones. It was. As successful solvers, we had our photo taken for the winner’s wall, then talked about missed clues and thwarted solve attempts all the way down that eerily empty hallway. Escape My Room plans other rooms with new narratives. But Mrs. DeLaporte and her eccentric relatives will remain central characters. I’m starting to understand how she thinks. And I have my eyes on that 55-minute record.